Chronic prostatitis, urethritis, haematuria, painful urethra, dysuria, lower abdominal pain, lower back pain, testes pain. Chronic Prostatitis is a common problem in men. It typically happens together with urethritis and epididymitis. TCM determines that prostate gland inflammation belongs to a section of urinary tract infection. Chronic prostatitis happens because the problem has completely been dealt with in the acute period and the pathogenic bacteria still incubate in the glands. In the development of chronic inflammation, main changes are fibrosis, granuloustes, infiltration and tubular gland obstruction making the result of dysuria. After years of research, this natural herbal product has been developed to support the health of the prostate gland and the urinary system. Conditions prostate gland function, stimulate gland activities, promote blood circulation, relieves pains and inflammation. Take 2 capsules each time, 3 times a day. 30 days as a treatment cycle. 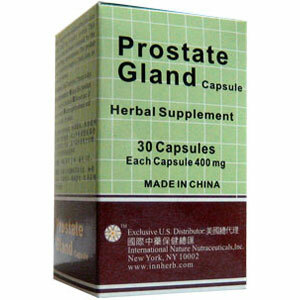 Be the first to review “Prostate Gland Capsule” Click here to cancel reply.